Bob's Blog: "Why would a Central American leave Central America to recreate it in America?" "Why would a Central American leave Central America to recreate it in America?" 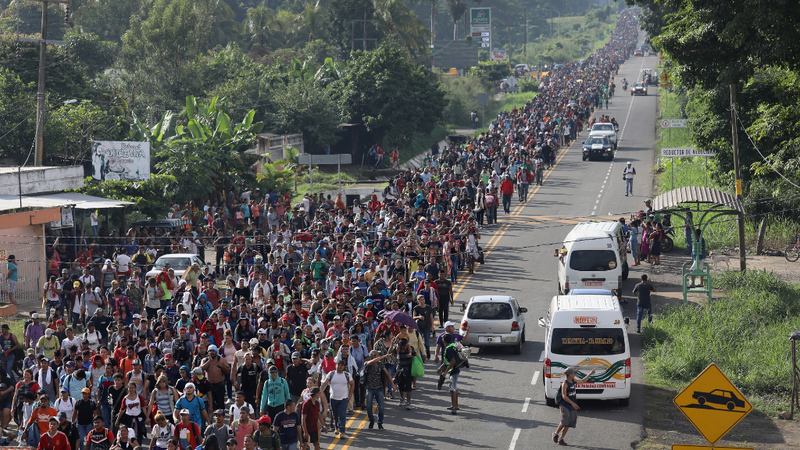 A“caravan”—the euphemism for a current foot-army of more than 10,000 Central Americans—of would-be border crossers has now passed into Mexico. The marchers promise they will continue 1,000 miles and more northward to the U.S. border, despite warnings from President Trump that as unauthorized immigrants they will be turned away. No one has yet explained how, or by whom or what, such a mass of humanity has been supplied, cared for, and organized. ...Would not Mexico be a much better place of refuge for the caravan people, given multiple affinities of ethnicity, language, history, and culture? ...It is not infrequent to hear from American ethnic activists that the current Spanish-speaking migrants are only “reclaiming” their ancestral frontiers in North America (as in American settlers took it from Mexican nationals who took it from the Spanish who took it from indigenous peoples who took it from other indigenous peoples).